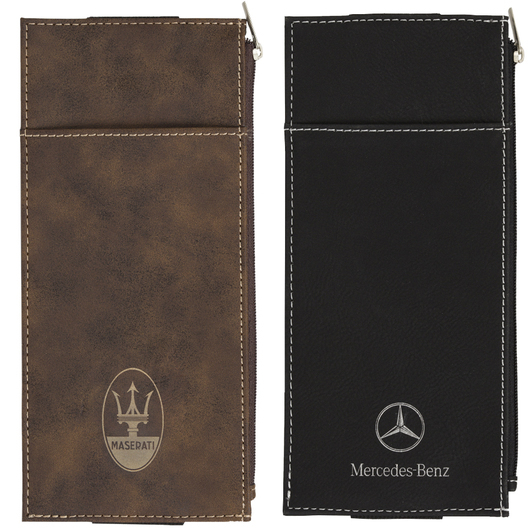 A sueded leatherette pen & tech quiver that is built to win and impress! 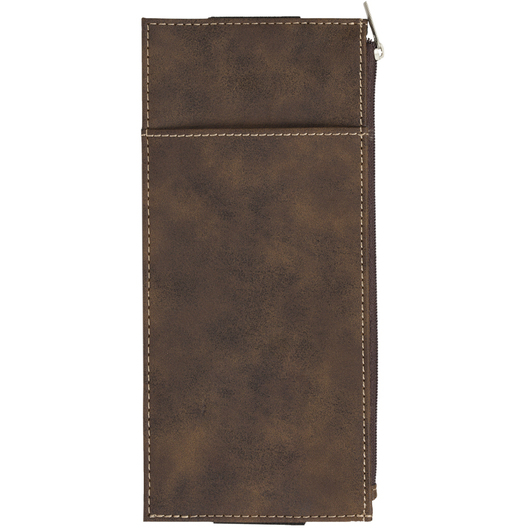 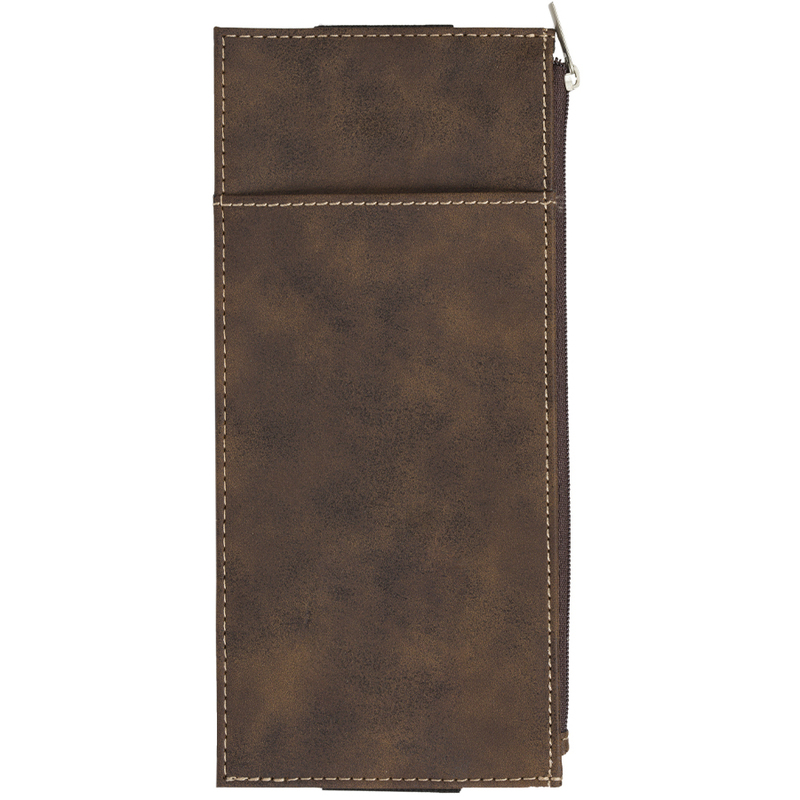 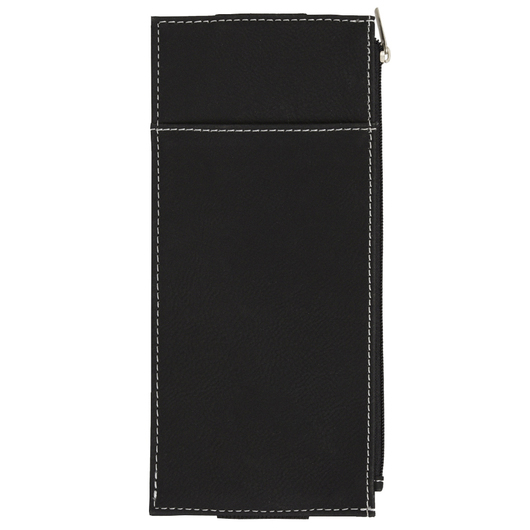 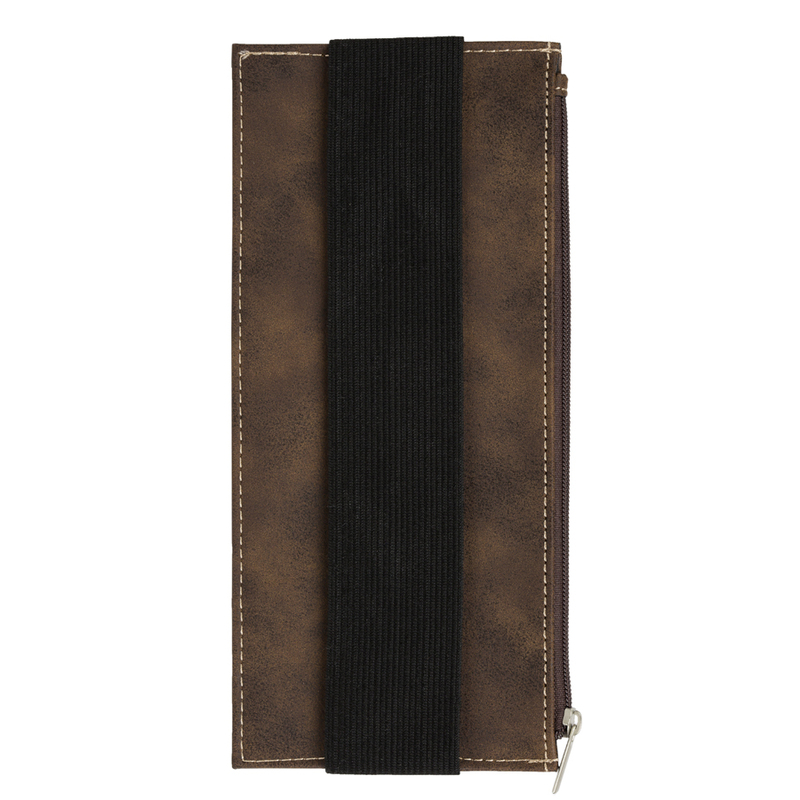 Be the crowd favorite with this stylish and classy Sueded Leatherette Pen & Tech Quiver. 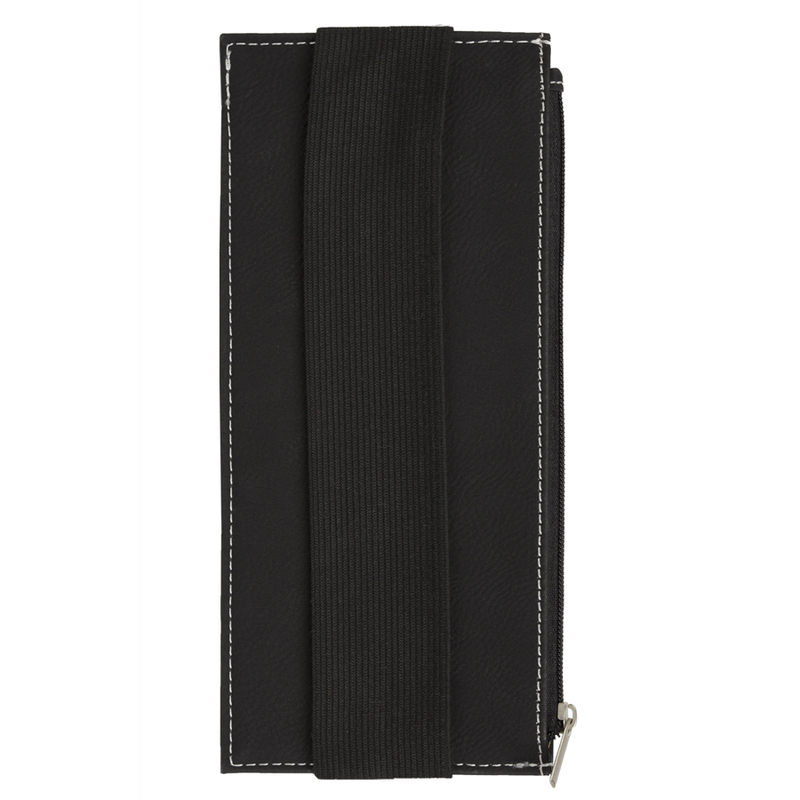 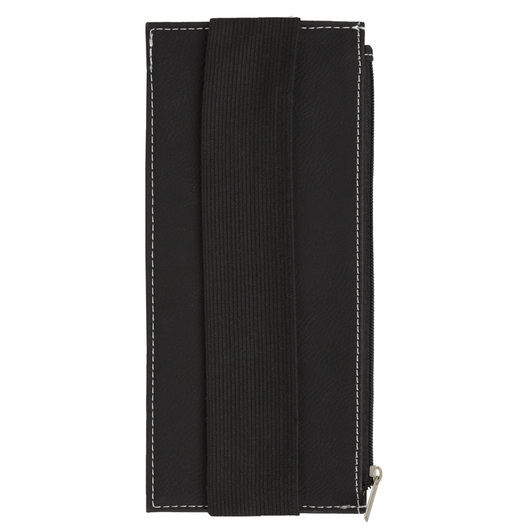 Named after the traditional archery quiver, this pencil case is specifically designed to securely hold your writing instruments and at the same time to keep safe your gadgets. It is fitted to hold A5 notebooks with an easy to use elastic band. 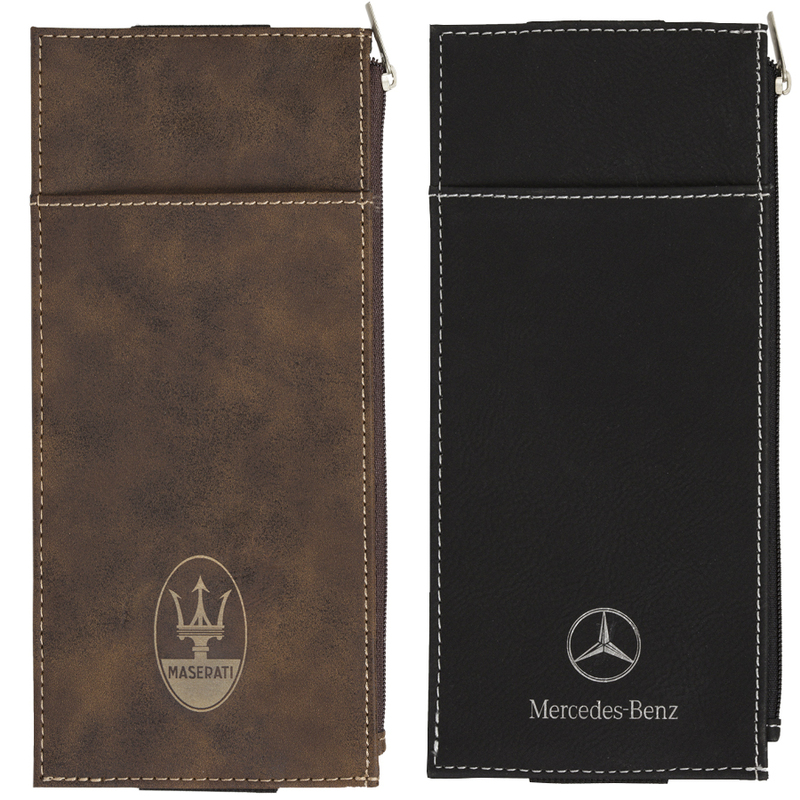 Its case has two functional compartments, one pocket for easy access items such as pens and then another main zippered compartment for gadgets, money, keys. This Pen & Tech Quiver is manufactured from PU material and is branded through a special laser engraving. 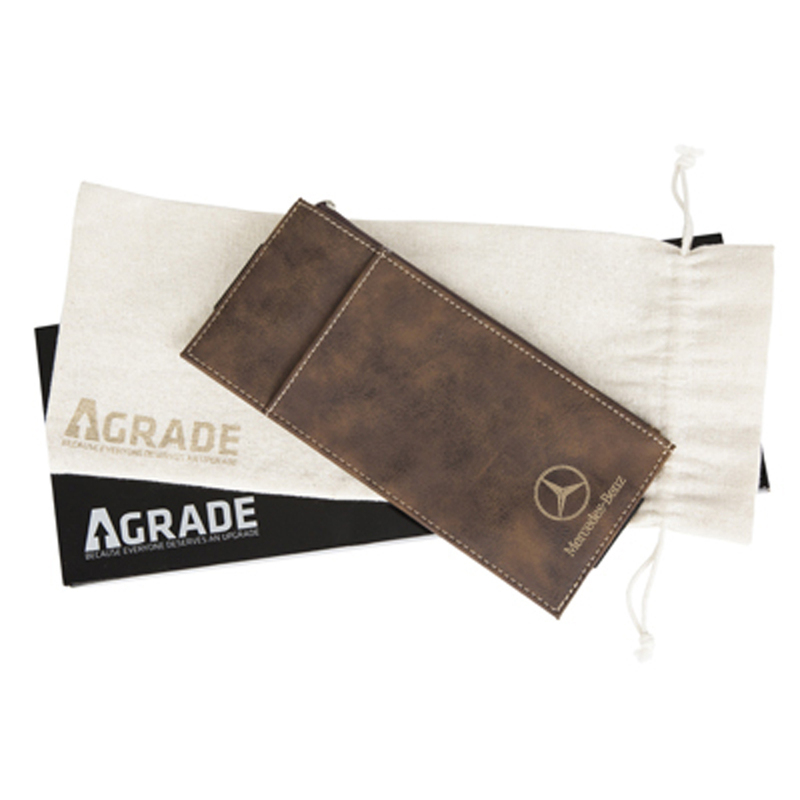 A branding process that involves removing the surface colour of the material, leaving a second layer with a metallic colour exposed during the process. Black has a metallic silver engraving and brown a metallic gold colour. 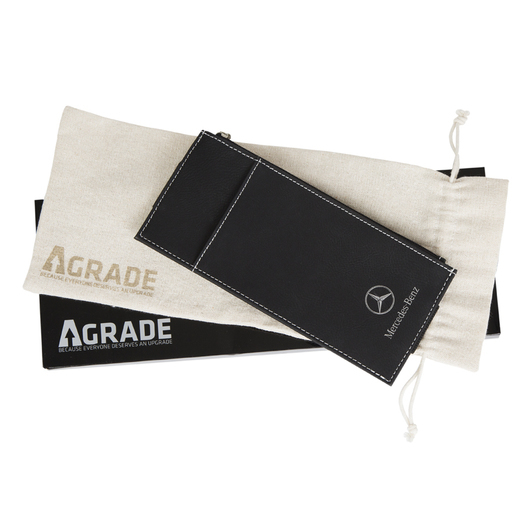 This is individually packed in an AGRADE muslin drawstring bag and black shiny gift box.